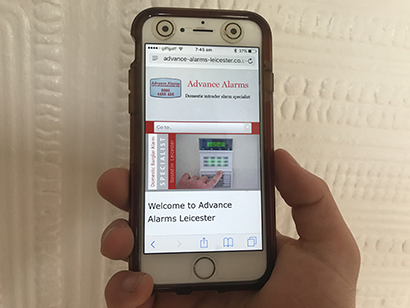 Hi my name is Graham Paterson, I own and run Advance Alarms Leicester. We are a small family run business, we pride ourselves on the quality of our workmanship and the personal service we provide. If you would like to book a free demonstration please E-mail, text or Phone us. 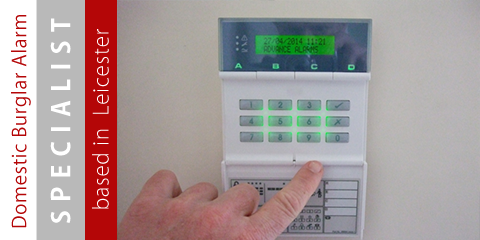 Because it is a live demonstration you can see exactly how the burglar alarm system works. 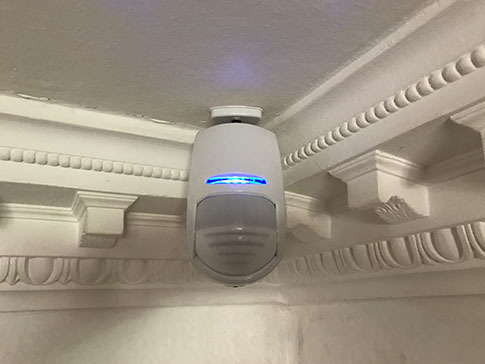 We will explain how the alarm system will be installed so that there are no visible wires or cables, no mess and no damage to your existing decor. 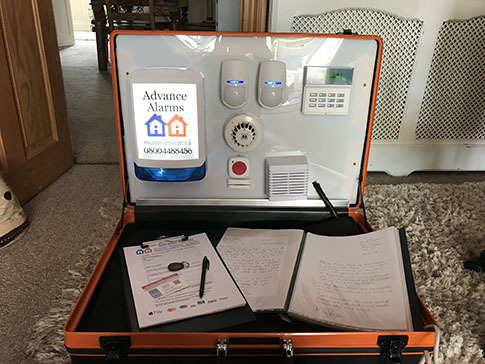 We only install wired intruder alarm systems, when the installation is complete all you will see are the alarm components themselves. Making it look like a wireless alarm system. The demonstration is informative, with NO high pressure sales techniques. We will answer all your questions, show you letters of recommendation from existing customers and finally leave you with a written quotation. 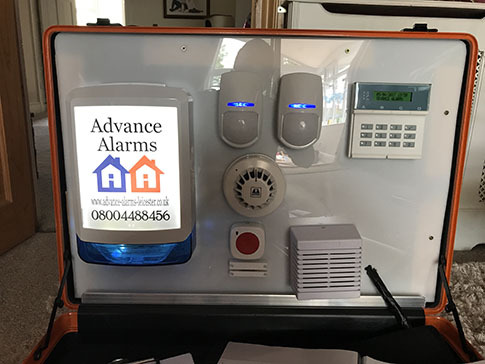 The demo is a live active alarm system so you can see exactly how it works. You can see how easy it is too use and we will answer all of your questions. 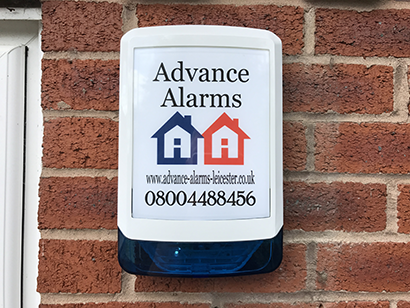 Alarm installation with no mess, no damage to existing decor and no wires showing. 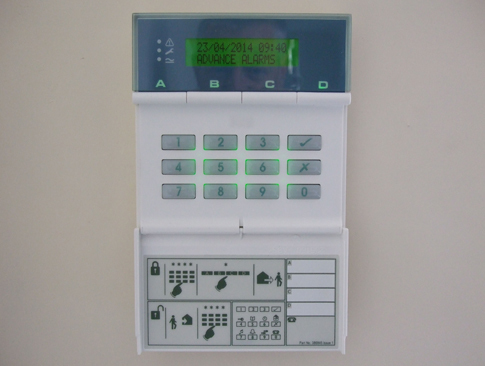 LCD Keypad with a backlit screen and keypad, built in panic button, time and date displayed, up to 50 individual unique codes and a 350 event memory. 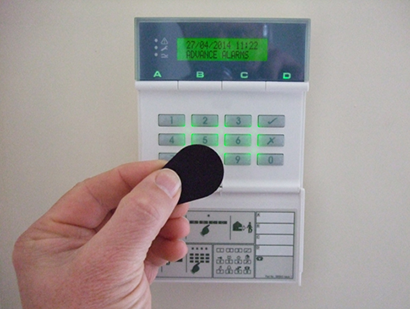 Various detection devices, PIR (passive infared) sensors, pet tolerant sensors, smoke detectors, door contacts, vibration detectors etc. 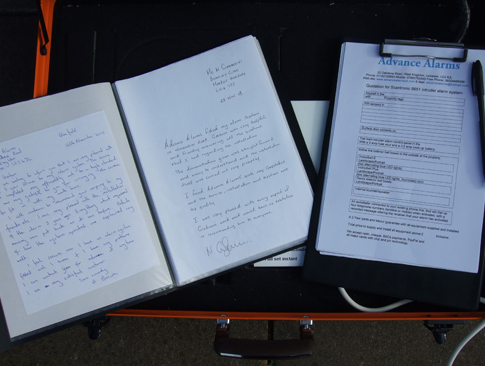 We will show you letters of recommendation from existing customers and finally leave you with a written quotation. Live Demonstration The demo is a live active alarm system so you can see exactly how it works. Interactive You can see how easy it is too use and we will answer all of your questions. 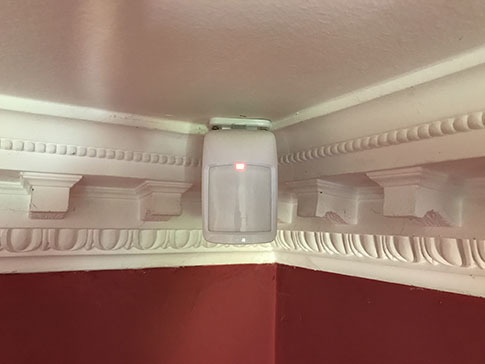 Seamless Alarm installation with no mess, no damage to existing decor and no wires showing. LCD Keypad LCD Keypad with a backlit screen and keypad, built in panic button, time and date displayed, up to 50 individual unique codes and a 350 event memory. Detection Devices Various detection devices, PIR (passive infared) sensors, pet tolerant sensors, smoke detectors, door contacts, vibration detectors etc. Testimonials and Quotation We will show you letters of recommendation from existing customers and finally leave you with a written quotation.